This romantic apartment is located in an idyllic farmhouse in the small Eifel village of Immerath. The apartment is on the first floor and has a little sheltered terrace with view of the orchard where you can start the day with a lovely breakfast or cup of coffee. The apartment consists of one big space that incorporates a sleeping area and open plan kitchen. The interior is cosy and romantic. 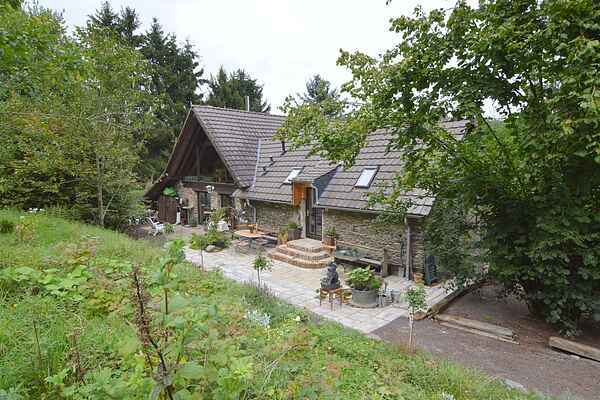 If you are looking for a spot for just the two of you from which you can enjoy lovely walks and cycle rides in the glorious Eifel then this is a very good choice. This part of the Eifel is also called the Vulkaneifel. The nice thing about this is that in this area you can find the 'Eifelmaare' (little lakes where you could go for a swim or go fishing and definitely recommended for going for long walks).